OK! Here we go with week 2! Some of you have been posting your progress so far on the Facebook page and it’s super exciting to see that you are doing so awesome with the plans! Please post your progress here from the Week One Plan, so that the people who don’t use facebook can be inspired as well! I’ll go first! I restarted last Thursday and as of this morning I was down exactly 10 lbs! I’m sure it will slow down from here on out, but it was a great boost initially. In the interest of full disclosure, I have not been following the plan I gave you guys. My allergies have been acting up since Tuesday, which means I have to be really careful what I eat or I could have a reaction and end up in the ER again. It’s annoying, but so far the DE has helped keep it under control. To read about my oral allergy syndrome issues you can catch up on my post about it from last year. Anyway, I’ve been eating mostly macadamia nuts, avocados, chicken cooked with just salt and olive oil, and last night some ground beef. Probably only getting about 800 calories a day the last three days. If it gets worse as the season progresses, I’ll have to go on steroids which I’m trying to avoid. Anyway, just telling you all that so you don’t think “how come she is losing weight so much faster than us?” I definitely don’t recommend doing it this way – it’s not fun at all! You know what IS fun? Getting an email from the Dr. Oz Show! If you are keeping up with the Facebook page and Instagram, you already know that they contacted me yesterday about participating in a segment for the show. Well I spoke with the associate producer last night and got more details. The segment is going to air THIS WEDNESDAY and they are looking for regional recipes made over. I was assigned fried chicken because I live in SC. Kind of boring, but I already have a great recipe in the Summer Issue of the IBIH ezine that I can work with. The crazy thing is that I have to submit a 3 minute video by Monday morning! They are going to call me today about what they need in the video, then again on Sunday to touch base. It’s very rushed and the producer and I spoke last night at almost 9pm – she was still working in the studio on getting the “talent” lined up. I’m not sure how much (if any) of my video will end up in the actual segment, but I will keep you posted. From the email I received, it appears that after the initial airing this week, the top 3 will get to go on the show at some future point and cook their recipes for Dr. Oz to taste. The best recipe/winner will be featured on their website, and from what I gather will be posting recipes there regularly. So we’ll see what happens! It’s all very exciting, but makes it hard to focus on all of the other stuff I’m supposed to be doing, like writing this menu plan post – which is why I had to get up early on a Saturday morning to get it done!!!! 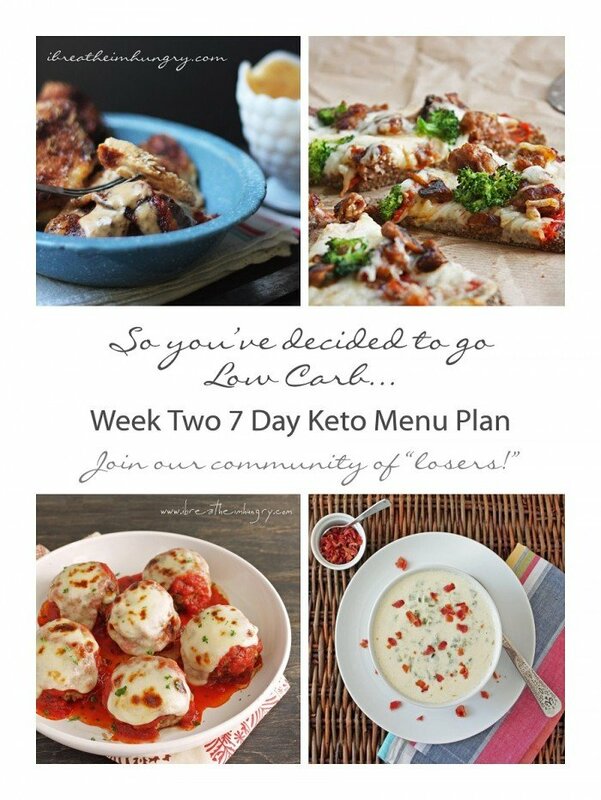 So without further ado, here is your Week 2 Keto Menu Plan, Shopping and Prep List! Don’t forget to let us know how you’re doing in the comments – and any feedback on the plans and how you think they could be improved would also be welcome! Download a printable copy of this week’s plan here. Note: I didn’t realize when I was putting this menu together earlier this week that it called for both almond flour (meatballs) and coconut flour (jalapeno muffins). I realize some of you may not yet have these ingredients so I’m sorry about that. Feel free to substitute or omit the recipes that call for these ingredients this week with another recipe if you are a) allergic to nuts or b) don’t have or can’t get them. 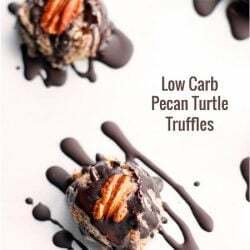 If possible, I recommend getting both ingredients ASAP as they will pop up occasionally in coming weeks as I add some dessert recipes and baked goods to the menu plan. I purchase all of mine online as I find that it’s cheaper, but if you have a good quality grocery store that has a gluten free section, you may be able to find both of them there. Whole foods will carry both, but you will spend more than online. Here are some links to good deals on pantry items on Amazon – I recommend buying in bulk if you can, it’s cheaper in the long run! Remove 2 chicken thighs from the package and boil with 12 cups of water for several hours (the longer the better) to make your bone broth for the week. You’ll need 8 cups for the week, so let it reduce, add water as necessary the longer you simmer it. Season heavily with salt and light salt (for potassium) and pepper as desired. Make 2 batches of cream cheese pancakes (you should have 8 pancakes total) and divide them into four portions of 2 each for the week. Make your Easy Keto Marinara Sauce (for use in the pizza and meatball recipes) and set aside 1 cup for use in the recipes – freeze the rest. Make your Jalapeno and Cheddar Muffins. There are 7 called for in the menu plan – you can freeze the rest or substitute them as snacks where desired. Make your meatballs for the parmigiana – all of them will be used during the week. The pizza I recommend making the day you will first eat it for best results. Then it can be eaten cold or reheated throughout the week as called for. The Chicken Paprika I also recommend making the day it is first called for if possible. Otherwise make it ahead and refrigerate until needed. If you’re just getting started, get caught up with my 3 day keto kickstart and menu plan! so far I have loved everything about your menus. I made the pizza crust and it was 10 inch like you say. I prebaked it and then added toppings. My crust got soggy though. Any ideas? So I’m on day 13 of the keto diet. I’ve lost a total of 10lbs so far. I’m feeling great and tomorrow I add working out to my lifestyle. Thank you so much for organizing everything for us. I’ve been trying to start this lifestyle for several months now but it was just too confusing trying to plan it all out and balance it. I actually gained weight the first time I tried because of too much protein intake. Again, thank you for simplifying this for everyone. I’d just like to say thank you for making your recipes printable on a single sheet!!! It’s so nice not having to cut and paste or try to get rid of extraneous bit so a recipe doesn’t take 3 sheets of paper to print, as often happens with “printer friendly” recipe pages! Thanks! 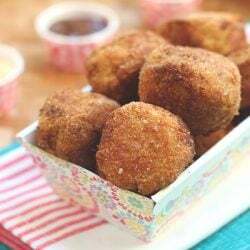 Do you have a measurement to make the meatballs a more accurate size. Roll each quarter up – presto, 32 meatballs. Not sure if this is multiplication or fractions! 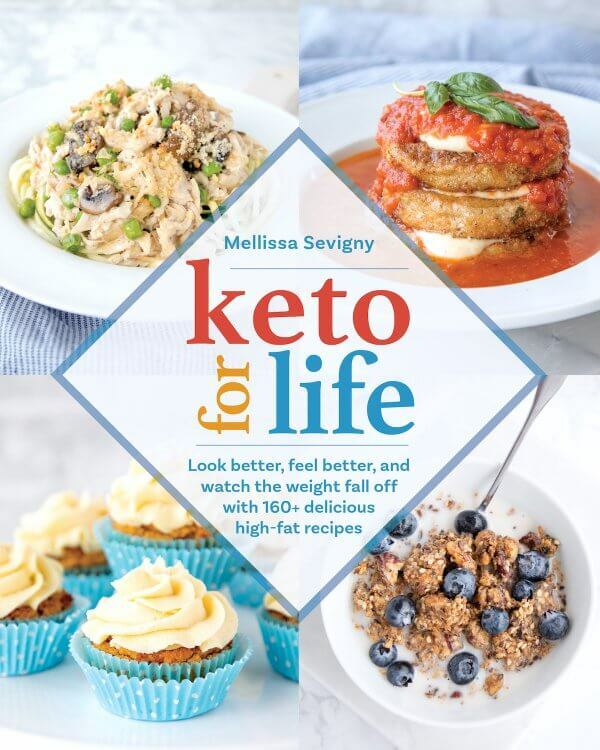 I am very excited to do this Keto plan. In 2012 I was a size 6 and diagnosed with Hashimoto’s Thyroiditis, I went from a size 6 to a – current – 18. I am going through menopause and the doctors haven’t got my hormones worked out yet. I fight to lose weight like you cannot believe. No matter HOW little I eat, I don’t lose anything…the body works against you with Hashimoto’s and I was also diagnosed with Fibromyalgia, so three things that fight my body while it is fighting to work properly… :( Even when I walked 4.5 – 6 miles per day, with a diet of 1000 cals per day, I still lost nothing. So, this will be a great experiment! high fat and high protein diets are best for me, and I love meat. I would rather eat a large steak and salad than ice cream! The only problem that I have had in the past is making meals that my family are willing to eat as well. I would like to use these meal plans but I’m really concerned about the high calorie count when the goal is to lose weight. I don’t think 1600 calories is that high, but I skipped some snacks. I lost 6 stobborn pounds first week. I just got done eating the jalapeno popper soup and it was not spicy at all. Make sure to scoop out the rinds and seeds when preparing the peppers this is where most of the spice comes from. Is there a way to easily track total carbs with these recipes? Carb numbers are included with the nutrients, i.e., carbs, fat, protein, calories. They”re shown in each recipe & in the line items in the weekly plan. Hope this helps. My husband and I are new to Keto, this is our second week but we are doing week 1 of your recipes. Are the recipes meant for 1 person or 2? We are still trying to decipher if we are in ketosis or not. Some of this stuff is confusing. The meal plans are created for one person but some of the recipes will have extra servings so you can do it for two – but you’ll have to check all the recipe numbers in advance to see which you’ll need to double. If you want to know if you’re in ketosis I suggest purchasing the ketostix online or at a pharmacy. This is my 4th week on keto, but just starting the week 2 meal plan. It is AMAZING!! The jalapeno popper soup is amazing! Chicken and gravy is amazing!! I cant believe I’m eating rich foods like this and losing weight!! Down 9 lbs in 3 weeks and 2 days! I Need to say this is great! I used to be a lot smaller and fit but became extremely sick 3 years ago and basically am at the point where I am allowed very little greens due to a out of control blood disorder. I was at a loss I was putting on weight, getting a little depressed and not being able to handle it. This changed everything. I’m done the kickstarter and week 1, today was day 1 of week two. I’m down 12.5 lbs and the food is great. My friend got me onto your blog and this diet after she lost about 90 lbs in 19 weeks. Your awesome and thank you so much for the time and effort you put into the meal planning and shopping lists and easy go to recipes! Congrats Matthew! I’m excited for you – thanks for letting me know about your success and I hope you make it all the way to your goal and feeling better!!! When making the bone broth, you said to just take two of the chicken thighs. Are we to leave the meat and skin on those thighs while boiling for the broth? Yes – it adds to the flavor of the broth! I love your blog I tell all my friends. I’ve lost upwards of 20 lbs some of it due to detox before beginning this journey but most of it has been because of you. It gets me out of bed and cooking and cleaning which in it self is helpful. If I tried to make a plan alone id constantly fall off track but I follow yours to a tee especially sense I’m not a picky eater. My boyfriend is not even on it but he eats the leftovers and said he’s lost 7 lbs. I’m excited for another week. Is it ok to make this permeant I love the food and I don’t crave things anymore. I don’t think I’ll ever want to go back to my previous lifestyle. Can’t tell you how much I love the meal plans!!! 6 lbs down in a week and half with some of that from a very bad weekend but it normally takes me a bit longer to lose it. Thank you again, food is so amazing! First of all many thanks for all your hard work on doing these meal plans for us! I truly appreciate! I have been following to the tooth and in my 3 rd week I only lost ONE pound! I did had a call for mother nature last week and thought I was retaining water , but still don’t see changeson the scale this week, I do feel my clothes fitting a BIT better, but I was never a big junk food person ( I have been a vegan for the past 5 years 80% carbs) but experience weigh gain of 35 lbs in 1 year due to insulin resistance – sooooo my doctor recommended i start a keto diet ! this was 6 months ago that I stop being a vegan and finally I am eating ( chicken – fish -eggs- cheese) so I decided to start the keto diet and I am very sad and disappointed because I am NOT cheating at all, to understand why I am not losing like everyone else – or at least 1 lb a week!! I know you are not a doctor or a phycologist but I was wondering if you have any tips for me to do? thank you again , much success! What would you recommend as a substitute for the cream with coffee for those that aren’t coffee drinkers?! And, hello, Belize!!! The hubby & I absolute LOVE Belize!!! We have a group heading to Hamanasi in October. Would be super interested to hear about living there! I don’t do coffee either usually don’t do tea but to get the cream in I decided regular ole tea was the lesser of two evils. And I drink it really fast! lol I add about 1.5 teaspoons of sweetener along with the heavy cream. Two years ago, following your meal plan, I lost weight well, and felt satisfied (not hungry). But, slowly those evil carbs crept back into my meals, and snacks … and then the late-night-cookie-craving started. So, here I am again! 2017 New year’s resolution to lose those same pounds and more, again, and change my lifestyle to keep it off! I’m not an enthusiastic cook, and I find this much cooking a trying exercise for one person working full time. But … I’m doing well so far! I’m down 12 lbs. This time I’m freezing the extras, rather than stretching one week into two. 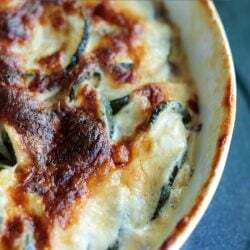 I have a shelf in the freezer for “low carb meals.” When I can’t face cooking, I’ll be able to grab one! I’ve shared some with friends, and they love them. They are surprised when I turn down a snack. “No thanks. I don’t want to go off-plan, and I’m really not hungry!” The most amazing think is the total lack of cookie craving! Thanks for the great meal plans, with pantry and shopping lists. Thanks for the nutrition info, so that I know the impact when I substitute one for another. I hope I win the fitbit. I could use that! Welcome back Marti! I’ve been on and off myself so I know the feeling – happy that you’re already seeing great results back on the plan!!! Ok, so I’m new at following this meal plan, but loved week one. I’m trying to do it for me and my husband, and we’re coming up on the end of week one, and I’m a little short on food, and look at some of the meals this week, I’m just wondering how well the plan works for two people, and how much of it I need to get double on? For example, it looks like I need to buy two pizzas, and I needed 2 1/2 bars of chocolate for me and my husband. Are most of the recipes able to work for two people for the whole week, or should I expect to make a 1/2 to double portion more on most recipes? If you’re buying pizza you’re not on my plan, you need to use the recipe for flax pizza that is linked to or else it won’t be low carb. The plan is meant for one person, if there are two of you doing it you will need to look ahead to the next week’s recipes and do the math for any extra servings that you’ll need. First I would like to say a massive thank you for this diet plan. My fiancé and I are currently in week 2 and some of the meals have been hit or miss. We live in a shared house so usually rushing the meals not great and we don’t have sufficient storage space so constantly buying food…annoying. We had an intention fluke over the weekend because is was my birthday and we were in Rome (When in Rome). We resumed on Tuesday Morning. I have lost 4kg and now the scale is not even shifting a little bit. My body fat went up and I am terrified shouldn’t I be loosing weight constantly?? Well starting Monday next week I will be a lot more careful. Gonna try not to buy any more food this week and just eat what we already have. I’ll be starting week 2 on Monday, and I have to say I feel great! A lot of the reviews about this diet said to expect to feel crappy for the first week or two, but I’ve had way more energy that I did before I started. My whole family loves the recipes too. I don’t know how much I’ve lost, as I don’t own a scale and I avoid them like the plague, but I know I’ve at least lost a couple inches. The question I have is more for the other readers than for you, Melissa. Does anyone have any suggestions for a substitute for the jalapeno recipes? I’m not a fan of spicy. I will be doing my own research, but if anyone has suggestions, it would be awesome! 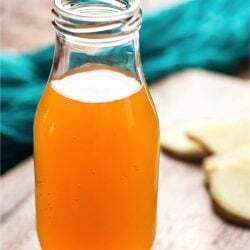 How do you or where do you get bone broth? Love your recipes,they are so helpful. I do my own version on some. Hi there! My first week and down 1.4 pounds and I feel great!!!! Before I started I was eating only 1000 calories, so these menus are a treat! Thank you!!!! Will keep you updated! I am so full of energy now! Thanks for the menu! My weight loss stalled after a few weeks of starting keto and your meal plan is exactly what I needed. Back on the weight loss train!!! I am SO excited about this. I have been on Weight Watchers for a full year now with very limited results…not that the program does not work…for normal people, I am just not normal. hahaha 11 years ago I was diagnosed with breast cancer and underwent a radical mastectomy and full hysterectomy. The steroids to combat nausea during chemo, instant menopause and meds caused me to gain nearly 100 pounds in 4 months. Fear of finding another tumor should I lose the weight again has had me mentally “frozen” in my tracks for far too long. I re-joined WW one year ago and have only managed to lose 19 pounds. They suggest I talk to my doc, and my doc says I should talk to them. I am following the program to a T, but all of the trauma my body has been through at my age (I am currently only 44) has left my internal wires crossed and I needed to find SOMETHING that could get results…WELL…I must say, I started the program last Friday and by Tuesday (at my WW meeting) I had lost 7 pounds!!! I am printing week two now and SUPER excited about it. 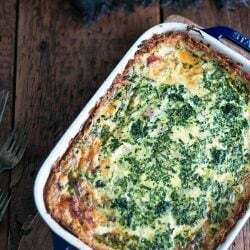 The food and recipes are amazing and I am able to add bread, rice, potatoes in for my husband so he doesn’t have to change his diet because I did…HE LOVES THE FOOD TOO. Looking forward to week 2!!! Thank you so much for sharing your story – I’m super excited for you to finally be seeing progress! My body is like yours – I lose super slow on WW or other programs that mostly just restrict calories. Add in steroids and everything else you’ve been through no wonder you were having difficulty losing! Keep me posted on your progress through the weeks – so happy for you! I’m on day two of the first week plan and am already excieted seeing Week 2 reciepies! Just a quick question, what have the number of calories per day seemed to have increased from 1500 to 1700 and 1800 in week two? Also, I can’t seem to find no sugar dressing here (I live in Australia) but will check out specialised stores on the weekend. Will using the no sugar mayo that I found work as an alternative (might get a little boring though). Hi Teja, the weekly plans are more about staying within the carb limits than specifically keeping calories at 1500, especially since there are lots of men that do the plan too and they need more calories. It’s easy to adjust if you prefer to follow a lower calorie plan – just omit snacks or eat smaller portions if that’s a concern. If you can’t find sugar free dressing, you can always just use oil and vinegar or make your own! Just wanna say thanks!!! Your meal plans are doing great for me… Just finished week two n I have lost 17 lbs!!! So again thank you!! Nice to lose weight and eat good food!! i am just starting and looked at the plan. How can I make it vegetarian. I do not eat fish or any seafood either. The plan as is won’t work for you – you’ll have to find only vegetarian recipes and calculate your own macros for the week. I absolutely love your site and your recipes!! My initial thought was i would just randomly eat eggs, meat and cheese for a few days and see what happens, but you helped me add structure (which I need!) and incorporated vegetables (which I thought I would have to wait on) into the diet. 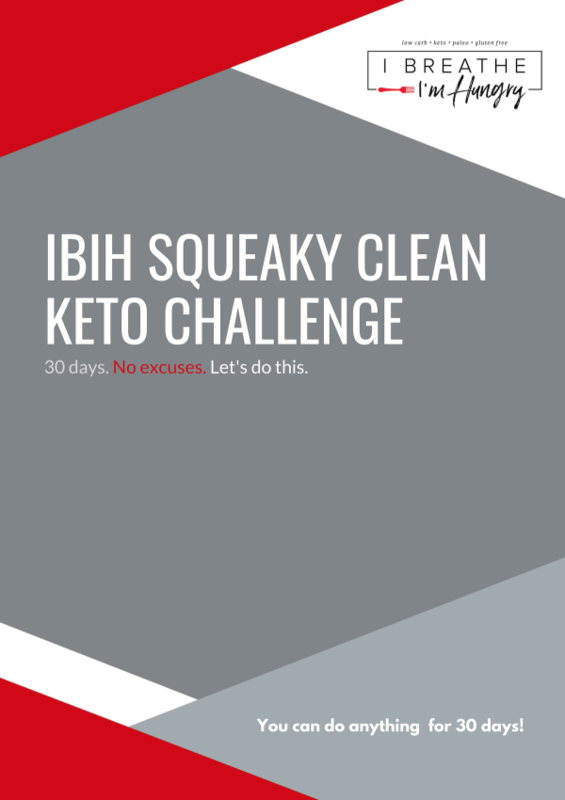 I initially read your 3-day Keto plan but was so excited that I jumped right into week one and loved it! Your recipes are quick and easy and I especially love how you do the shopping list! I always feel like I forget things but having that makes this so much easier! Keep up the good work! Welcome Rikki and congrats to both of you on your weight loss! I’m so glad you’re both enjoying the recipes and I hope to never run out of ideas to keep low carb from ever being boring! Wow! Jalepeno soup and cheddar muffins. Amazing. Lost 7 lbs. first week. Looking forward to more with these amazing recipes. Thanks so much for your posts Melissa. I know right? Still two of my faves – glad you’re enjoying them too and congrats on the weight loss! Lost 11 lbs in week 1! Started at 220 lbs and yesterday I was 209 lbs. Can’t wait to see what week 2 brings! Love all the recipes! Nice! That’s pretty awesome progress in your first week – you must be thrilled! Hope you enjoy the recipes in week two as much as week one, and keep us posted on your continued progress! 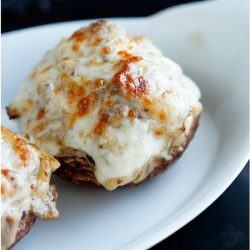 First off i love these recipes so far :) Absolutely Amazing!! I’m just curious if these meals are planned out for more than one person ? The recipes seem to have alot in them. Shopping list in hand and I am about ready to embark on week two of your meal plans. I have been eating low carb now for two weeks. Down 7.4 pounds. Can’t wait for the results of another week. Thank you for your amazing recipes. Lvoe the menu plans! Are these lsited like this in any of your books? I’d love to have it in front of me!! I just finished my first week, down 4 pounds. That is HUGE for me, my body weight usually fluctuates within a 3 pound range no matter what I do. I had to post and say thank you for putting together these plans, it makes jumping into this way of eating much easier. 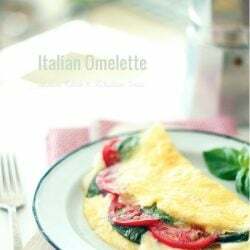 The recipes that I have tried have been wonderful! The meatballs parmigiana were especially tasty. Thanks again! I have been following week 1 now for 5 days and do not see a difference on the test strips…I am still neg or barely at the indication for trace which I find a bit strange to be honest….I did loose around 2 kg since I started but I did start when mother nature was arriving (not sure if that has something to do with the testing strips???) but other than that I am following your meal plan really well and drink enough water….is this normal? Thank you for a response! You may just be really efficient, but if you’re showing trace that’s all you need. It’s just an indicator that you’re in keto sis, how dark the stick is really doesn’t matter. If your losing weight that’s also a siGn that it’s working. – just stay the course! I’m about to start this week’s plan – and I really like that it is set up to use all the leftovers! I was one week one for two weeks just because of all the extra delicious food it makes. I’ve lost 10 pounds! LOVE these meal plans so much. I was on Medifast for 1 month and doing really well (starving and grossed out) but loosing weight. I then had a severe allergic reaction to the food (well it really isn’t food – but chemicals) HIVES everywhere YUCK! I had to stop and get on steriods. I don’t have medical issues or ever have allergic reactions like this – so it must be bad stuff! Finding your blog is such a gift. Real food for Ketoes that just isn’t boiled eggs and chicken breast lol! My whole family loves the food ( 2 teen boys) so that helps keep me on the journey! I am actuallyl enjoying cooking and that is a miracle in itself. Thank you so much for taking the time to put this all together and having such wonderful recipes LOVE IT!! Here I come Bikini well at least swimwear ;)! Andrea – Your words speak for all of us – very well said. I also had a bad experience with a popular diet food delivery plan. I became very ill from the shelf-ready food. One can only imagine the additives and chemicals that would be necessary to create those products. The body needs fresh, wholesome food – real food. And I might also add losing pounds is not the only benefit from eating well. In the short time, 6 weeks, that I have totally eliminated wheat and sugar from my diet, my cholesterol has dropped by 49 Points! Tested on 12/31 and again on 2/4. That’s proof positive to me that FAT does not raise lipids; CARBS do! I think I’ll go have me a nice avocado snack! YUM! Thanks for this Pat – I appreciate you sharing your cholesterol numbers because so many people are still scared away from a low carb diet unnecessarily because people still believe eating fat raises your cholesterol and it’s just not true! Congrats and thanks again! I forgot to mention my Glucose dropped by 39 points during the same period !! Both my cholesterol and glucose values were creeping upward which is major reason I committed in January to no wheat; no sugar. It didn’t take long to see several healthy results from the positive changes in my diet. Your menu plan came just at the right time. Thanks again for all your helpful recipes and to the inspiring blog of readers who share a common goal: good food = good health. I created printer friendly versions of week 1 and week 2 for my family to use and I thought others might enjoy them too. So I’ve shared them as Google Documents (https://drive.google.com/folderview?id=0B12HypWKlVhCOGdPU0hkdGx1QjQ&usp=sharing). Just want to give you my continued thanks. Your recipes are all very good! I started with the 3 day pan, continued with the 1st week menus, Sunday I was down 3 pounds. I’m thrill! I don’t weigh daily, trying to focus on change. I really appreciate your hard work. Looking forward to weeks 2 and 3. Congrats on dr. Oz. Hey there IBIH! I went looking on my recording of Dr Oz last night but didn’t see your spot/recipe. Has it been moved to another episode? please update us with any news on that. Just made your Jalepeno Popper soup last night and wow, it’s the bomb. Even my hubby loved it. YOu rock! Thanks for everything you do for us! Hey BC! The segment finally aired on Monday January 27th, but they cut all but about 2 seconds of my video and never even showed the chicken. I did post the video I sent to the Dr. Oz Show into my Fried Chicken Recipe, if you’re interested in seeing it! Glad the popper soup was a hit – we still love that one too! I have sent you private messages Mellissa singing my praise for this website and your meal plans. I haven’t ever come across such an easy to follow meal plan before that keeps you looking forward to what the next week will offer. I’m in the health industry here in Australia and would definitely recommend your site to others. I do miss my vegetables but overall feel great. Have you experienced little setbacks? I have had a few more carbs here and there the last couple of days but I am exercising a lot too and wondering if this affects things. Also, wondering if you have ever stalled and stopped losing the weight? I want to get back on track and can’t wait to see what you have up your sleeve for us. Hi Bel, I was just scrolling down and saw that I never responded to this comment – not sure how I missed it but so sorry about that! I have experienced setbacks from time to time and then have to get back on the wagon. I don’t worry too much about my weight loss slowing week to week while I’m on keto, because so many things can wreak havoc like PMS, exercise, stress, etc. and it always picks back up again. 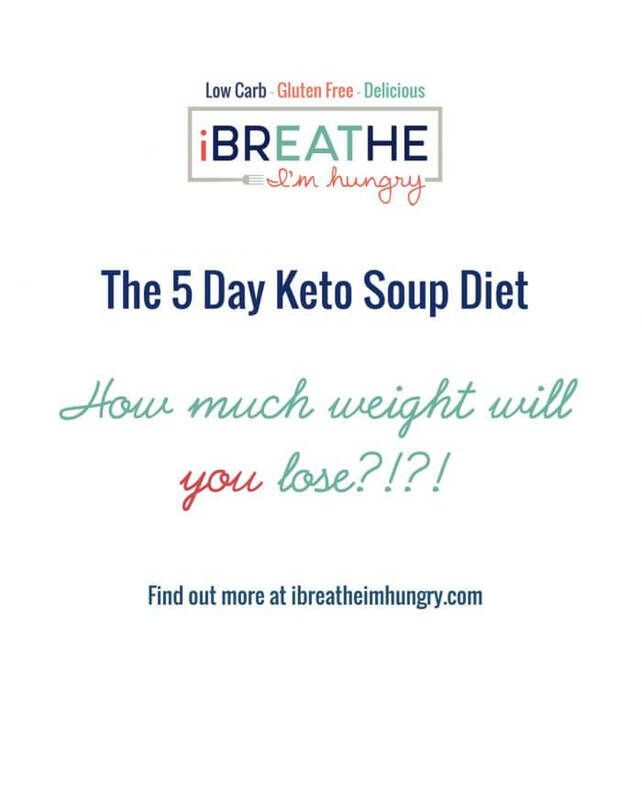 The ketostix are great for making sure that you are in ketosis though – that gives me peace of mind that I’m on the right track even if the scale stops moving for a bit. You can also experiment with eliminating dairy, artificial sweeteners, or lowering calories to see if that helps get the scale moving again. Drinking lots of water is always important, and finally being sure you are getting enough fat and not too much protein. Hope that helps! There are so many variables that sometimes experimentation is the best way to figure out what works for you to keep the scale moving each week! Keep us posted! Wine? Is this totally off limits? or can I work the calories/carbs into my menu? Thanks. … why do I think I already know the answer! Wine slows me way down Pat, so I avoid it when I’m trying to lose. But if you work the carbs in you can probably get away with it in moderation. Any alcohol will take your liver away from breaking down fat though so it’s definitely not running optimum for weight loss if you’re drinking. I’m in for 12 weeks! I just read that you will do menus for 12 weeks! Thank you so much! I’m doing the happy dance! I am on day 2 of the 3 day quickstart, haven’t had low carb flu. Yeah! Haven’t checked for weightloss will do that Thursday am. I’m already in ketosis. Your recipes are amazing, everything taste great. I’m a fan. Thanks again. Thanks Patti, hope you continue to have great success with the plans!! Just polished off the Jalapeno Poppers Soup for lunch. (I sometimes swap lunch/dinner). This is just the perfect day for soup — we’re getting a nice, big snowstorm in the Northeast. Truly a delicious soup that goes together so quickly and the pepper “heat” prevents me from eating more than the 1 cup serving. It is filling, spicy, and tastes just like a Jalapeno Popper! Also love that your recipes include ingredients that are used frequently in other recipes. 1 QUESTION? How many weeks do you plan to offer your menus? I have a longer road ahead than you, but I’m sure I can just repeat the menu cycle if you only plan to do 6 or 8 weeks. Thanks. I really love that soup and need to make a batch soon – glad you liked it too Pat! I plan to keep doing the menus for as long as I’m getting feedback that people are using them! Probably 12 weeks to start and then I’ll re-evaluate based on time and interest! 12 weeks !!! OMG! that would be wonderful! I am so committed to this and I think many of your followers are too. The shopping lists alone are such a huge help and time-saver. I print them, check-off what I need, and off to the store I go. You’ve made it so easy for us to eat wonderful food and lose weight. There’s really no substitute for making a healthy meal from scratch. I’ve tossed all the worthless processed foods and don’t miss them a bit. I recently found your blog and I absolutely love it. I have been following it with great interest. I have a question to ask you. 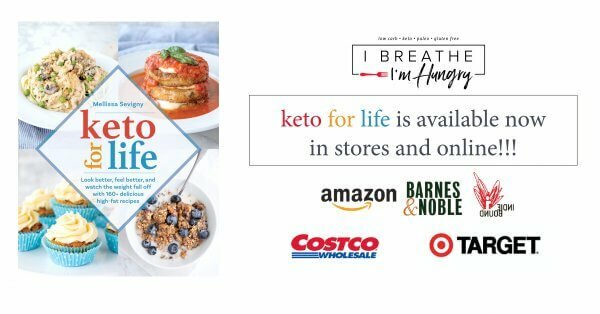 My question is… how do I use the Keto diet to maintain first? and then possibly to release 5 more lbs with ease? I just finished last round of HCG diet (it served me greatly at the time) 100 days ago and have been maintaining. Follow the plan Nukhet and see how you do. You’ll lose what you have left and then to maintain you can increase your carbs to between 30 – 50g per day and keep your calories in a good range for your personal activity/fitness level. I lost 2 pounds in week one! (Though I started a little late so didn’t do it the entire week!) I had been doing Bodybyvi, which worked for me, at first! But I just can’t survive off 1200 calories for the rest of my life! Every time I would try and ween off the shakes, I would gain weight! Even 1300 calories in one day and I would be heavier the next day! I couldn’t find a way to regulate! It amazes me that I can eat 1600-ish calories in one day and still lose weight! I told my MIL about this, and she said “Oh, 1600 calories is too much for me! I can’t lose weight on that!” I told her I’d said the same thing, but was sick of what wasn’t working anymore and gave it a try! AND IT WORKED!!! Thank you so much for putting in the time to do these meal plans, especially since you’ve been having a rough go of it with your allergies! All of the food has been fabulous, so far! I can’t wait to try all of the new things for this week!!! Thanks so much Emily! It really is amazing how much delicious high fat food you can eat on Keto and still lose weight and lower your blood pressure among other things! I’m happy to spread the word – and that the meal plans are working for so many people!!! Thanks for sharing, keep us updated!!! Thanks for week 2 menu, can’t wait to try it. I am down 9 pounds after week 1. So excited!!!! Also, what is your opinion of using non-dairy creamer in coffee? That is all we have at work so I have been drinking water and tea, but sometimes a girl just wants a cup of java. Even the sugar free ones have starches and other fillers that add carbs so I’d be careful with it – but as long as you don’t go over 20g per day of net carbs then it’s really up to you how you budget them. If it were me I’d bring a small plastic container of heavy cream to work every day – which is what I do when I travel – only because I’d rather eat my carbs than drink them. Again, you can really do anything as long as you’re below 20 for the day! First off…congrats on Dr Oz. Hoping the best for you. My story. I am 53 years old. I have been plagued with cysts and lipomas since I was young. I lost my right ovary to cysts when I was 20. I was skinny up until I turned 40. Then steadily gained. At my heaviest I weighed 321 pounds. I am 5’11” tall. I started Atkins in 2011. I lost 100 pounds in a year and a half. Then started having problems with my thyroid being enlarged and causing it to push against the back of my neck. No fun!! Sure enough it was covered in cysts and fluid. So they removed my left thyroid. Then things went crazy. I gained 37 pounds back because I just gave up. I started thyroid meds and bioidentical hormone therapy and I am finally starting to feel like myself again. I have actually followed you for a while. I was so excited to see you start this. It gave me the incentive to try it again. I have lost 6.6 lbs this last week. I just finished your 3 day kickstart that lasted my husband and I a full week. Lol! Starting week one. Tomorrow. We have to travel every other week for his job. Anxious to see how this is going to go. I do know that I feel better now than I have felt since I had my thyroid removed. I believe in this way of eating. I want to thank you, again, for doing this. I know it is a lot of work. I never took the time to learn about the fat ratios and stuff, I just tracked my net carbs. So I am learning a lot. Hi Sharon, thanks for sharing your story! I can’t imagine how frustrating that must have all been – I can see why you gave up and threw in the towel for awhile! I’m excited for you that you’ve lost weight in the plan in spite of your thyroid problems, and I’m really looking forward to hearing about your ongoing progress in the coming weeks! Please do keep us posted!!! How do you limit yourself to just 1/2 cup of the cheesy cauliflower puree? I end up eating the whole batch every time I make it. Maybe I will get picky boyfriend to make it for me and portion it out for me. Yay! Super excited that you will be on OZ! Snoopy Happy Dance! Thank you for the work you put into this – we all appreciate it so much. Although I am in the middle of a stinking cold, I am going to try DE the next few weeks to see if it will help with what I think is an overload of candida in my system. I am sure my metabolism needs a nudge after being on so many diets for so long. Your cream cheese pancakes rock too! Big hug! Thanks Brenda! Sorry about your cold, but the DE definitely helps with the candida – mine was getting out of control from the sugar binging I was doing the last couple of months and between being back on Keto and taking the DE I’m killing those little buggers off for sure! DIE! ha ha! Hope you’re feeling better soon and glad you like the pancakes!!!! Thanks so much Kathleen – I’m thrilled that you are enjoying all of the recipes! And congrats on 6 pounds lost!!! Yay!!!! 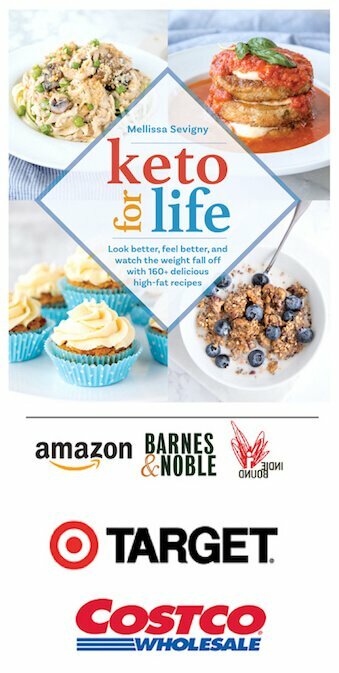 Someone was just asking about using keto to regulate blood sugar, so thanks for posting your awesome results!!! I started Tuesday and on Saturday was already down 6 pounds. Congrats!!! That’s pretty awesome! Let us know how you do this week! I haven’t started the meal plans, but on Tuesday I started cutting carbs by a lot more than usual (some meals, my husband & son had rice but I didn’t and the night we had fajitas, they had tortillas and I didn’t – things like that) and upped my water intake by 100%. I haven’t made it to 100 oz yet, only about 50-60 oz, but that’s 50-60 more than I drank before and 30-40 oz more than I usually drink of anything – I’d bring a 12 oz bottle of coke zero to work for lunch but not finish it, not drink anything else and then I’d have a few sips of something throughout the night, until bedtime, at home. It’s a start. I also stopped the coke and other random things I was drinking. It’s been all water. :) So, since Tuesday, I’ve lost 3 lbs. Might have been more if I hadn’t had pizza last night. :-/ I’m going to get more serious tomorrow. Hi Amanda! First, getting your water is great, not just for weight loss but for overall health, so hopefully this is a new habit that you can stick with! 3 lbs is nothing to sneeze at, and if you can lose and still indulge occasionally (I wish I could!) then don’t beat yourself up about it! Any positive change is a good one – and sometimes it’s better to start gradually. Keep us posted! Awesome! I’m starting the first week Monday, been recouping from a nasty cold this week. Looking forward to it, did some advance cooking today! Thanks again! Welcome Patti! Hopefully you’re all ready to start tomorrow still! Looking forward to keeping up with your progress in the coming weeks!!! I lost 1.8 pounds during the first week of the plan, until mother nature showed up and cut it down to 1.2. :/ Bummer. But, that just means next week should rock! I love that there are less things to cook this time. While I like variation, I’m all about some leftovers during the week. 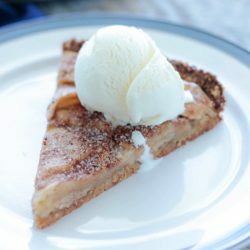 I’ll be substituting a few low carb desserts here and there, otherwise, I love everything! Thanks Brooke! Stupid Mother Nature! ha ha! But yes, hopefully you’ll see a big drop next week now! I’ll be adding some easy desserts to the menus in coming weeks so stay tuned! Thanks for the second week menu!!! Everything looks great again!! And big congrats of the Dr. Oz Show! I scheduled it already to be recorded!! That’s awesome!! I’m down 11.4lbs total!! Thanks so much all this great info you keep providing to us all!!! Thanks Merja, and congrats on over 11 lbs lost! Keep us posted on your progress! First off, congrats on the show! I scheduled the DVR already! I’m down 8 pounds total since I started low carb. I’m down 1-2 pounds since starting week 1 of the menu plan. Week 2 looks amazing! I was so hoping you would do something jalepeno-ish! Looking forward to shopping- I don’t think I have to get too many items! And then cooking tomorrow! Love this! Improvements? Maybe more variation on the desserts or chocolate recipes! I incorporated your chocolate mousse recipe and had that a couple nights instead of the chocolate squares. Overall- love everything! It’s an adventure, which makes losing fun! Thanks for the feedback Stephanie, glad you’re enjoying the menus! I figured I’d ease people in to the making of desserts, but next week will definitely include some homemade dessert options now that people have had a chance to (hopefully) purchase some coconut or almond flour! That makes sense! I did the entire prep list yesterday and started day 1 as well. Holy moly, the soup!! I have to make another batch because my very picky teenage daughter will eat all of mine! She loved it! :) My husband who is doing low carb- not keto, likes everything I’ve made. Everything’s been a winner so far. But that soup though!